This beautiful design will add the perfect touch to your baby's first birthday! Such a sweet way to document this stage of his/her life and remember all the memories that made his/her first year so special! With its soft boho florals, this is sure to set the stage for a sweet celebration! Perfect as-is for a first birthday, but can be customized to whatever birthday your little one is celebrating! 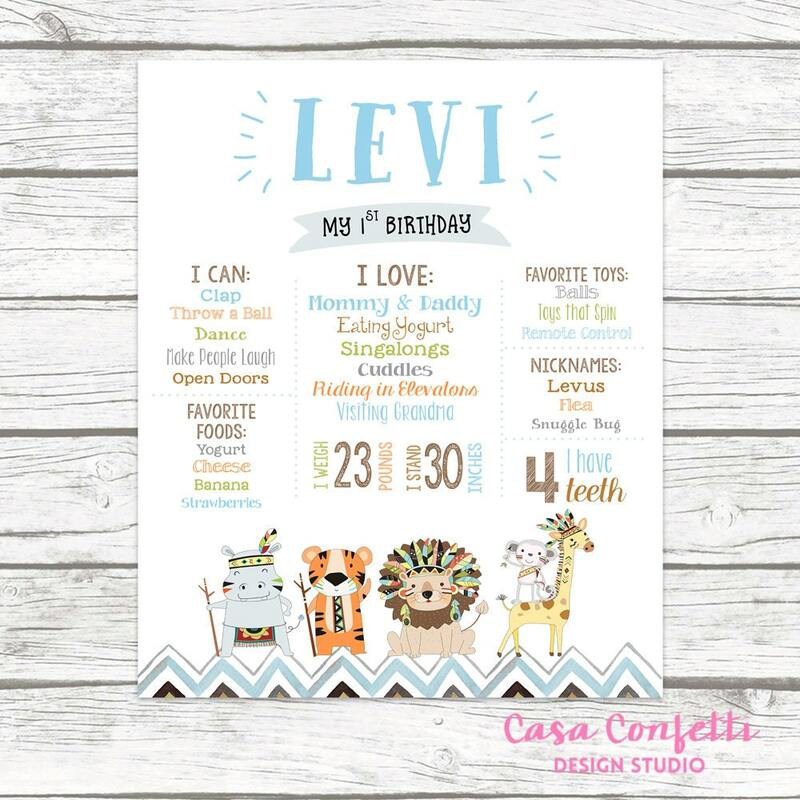 This listing is for an instantly downloadable printable digital file. No physical product will be shipped to you. You will receive a PRINTABLE 8x10, 11x14, 16x20, OR 18x24 digital file which you can then upload to a printing site or take to a nearby print shop. Once you approve the proofs, your print-ready, high-resolution files will be emailed to you at the email address you supply.